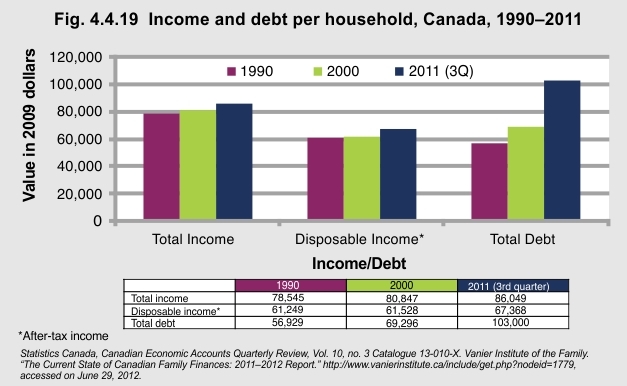 By the end of 2011, the debt load in Canada stood at $103,000 per household. (This average includes households that have debt and those that do not.) While disposable income remained almost unchanged from 1990 to 2011, total household debt almost doubled. Being in debt is a very distressing experience that affects the entire family. Owing money limits a family’s purchasing power, financial flexibility, and financial stability. For children and youth, the burden of debt means that fewer resources can be allocated to fill their monetary and non-monetary needs.